San Jose, Calif. – J. Lohr Vineyards & Wines is excited to announce that Steve Peck has been promoted from winemaker, red wines to director of winemaking. In his new role, Peck will be responsible for leading the family-owned-and-operated winery’s winemaking program at its Paso Robles and Monterey County wineries, which includes five acclaimed tiers of wine. An invaluable member of the J. Lohr team since joining the company in 2007, Peck is the handpicked successor to Jeff Meier, who has been with J. Lohr since 1984 and has been COO, president and director of winemaking since 2013. With Peck’s promotion, Meier will focus exclusively on his role as president and COO and will continue to work alongside the Lohr family to guide the future of J. Lohr. After a career that included positions as the winemaker for Five Rivers Winery and Jekel Vineyards, Peck was named winemaker for the full portfolio of J. Lohr red wines in 2007. In the decade since, Peck has made some of the most highly rated wines in J. Lohr’s storied four and a half decades, and has earned a reputation as one of the Central Coast’s most respected winemakers. In 2016, Peck was honored as Winemaker of the Year by the San Luis Obispo County wine industry. Meier, named J. Lohr’s winemaker in 1995, has played an instrumental role in establishing J. Lohr as one of North America’s most successful wineries, and has helped to introduce a global audience to the wines of Paso Robles and Monterey. In his continuing role as president and COO, Meier oversees marketing, operations and production for J. Lohr. Founded more than four decades ago by Jerry Lohr and still family owned and operated today, J. Lohr Vineyards & Wines crafts a full line of internationally recognized wines from 4,000 acres of sustainably certified estate vineyards in Monterey County’s Arroyo Seco and Santa Lucia Highlands appellations, Paso Robles, and St. Helena in the Napa Valley. Offering an expressive range of styles, J. Lohr Vineyards & Wines produces five tiers of award-winning releases showcasing its estate fruit: J. Lohr Estates, J. Lohr Vineyard Series, J. Lohr Cuvée Series, J. Lohr Gesture, and J. Lohr Signature Cabernet Sauvignon. The J. Lohr Wine Centers in Paso Robles and San Jose welcome visitors daily, and the company’s online home is JLohr.com. During the first day of Paso Robles Cab Collective Cabs of Distinction event I was happy with many wines from wineries I already knew or at least knew of. As I was strolling past one table I was immediately charmed by the gentleman pouring for guests in front of the table and excitedly describing the wines. 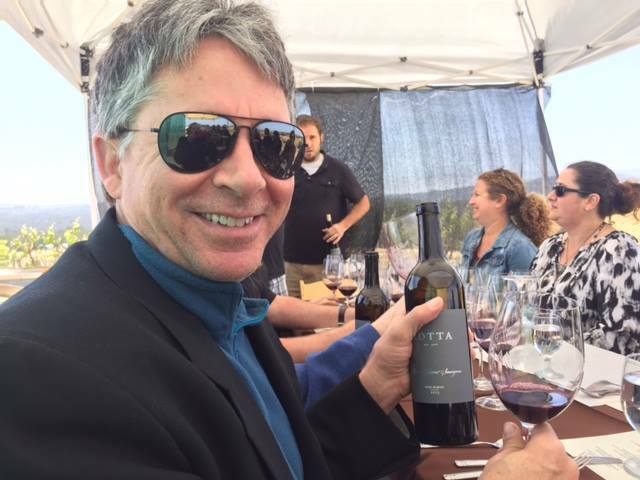 This was my first encounter with Jeff Branco, the winemaker and Director of Operations for Rotta Winery. My husband Eddie at Rotta luncheon. Within minutes I fell in love with Branco’s 2013 Rotta SBR blend of Cabernet Sauvignon, Cabernet Franc and Merlot. I also learned that Branco had been the winemaker for Justin – and the incredibly popular Isosceles blend had originated under his tenure. As this was the Cab Collective and all we were tasting were Bordeaux style blends or Cabs I asked Branco if he made other wines. He quickly invited me and my pals to a luncheon and wine tasting at his winery on Winery Road, just past Turley in Templeton, the next day. Fast forward and we’re in the Rotta tasting room happily sampling a Rotta 2013 Pinot Gris from San Simeon that received 90 points from Wine Enthusiast magazine. From there we had a Rotta 2013 Rosé, and then the rest of the 2013 tasting line up was from Paso Robles and included a Mourvedre, Syrah, Grenache, Reserve Cabernet Sauvignon and Estate Zinfandel – all yummy. Then we were driven up to the top of the property where a total of 19 guests huddled under pop up tents, happily sipping wine and taking photographs of the vineyards surrounding us. Once the courses began (see photos of the menu and pairings here) the conversation never ceased – along with the praise for Branco’s exquisite wines and Chef Brooke Stockwell’s imaginative pairings. Several times the charming Branco would tap his water glass with a knife to get our attention and comment on the joy he found in his work. One story included his out-of-the-box idea of a tailgate party on the property that served as a fundraiser for the Alzheimer’s Association. He, along with “the love of” his life Sonya Guzman, proudly held up a check for $900 that they had made in their inaugural attempt, an event mostly filled with friends and local winemakers. After lunch we headed back down the mountain, back to the tasting room, and nearly back to reality. The last I had seen of Branco was him headed off on a ATV to pick up his daughters. I ordered a few wines and lingered a bit in the tasting room but he hadn’t made it back before we all had to leave. As he had given me his cell number we called from the car where all five of us let him know that we loved his wines and thanked him for a remarkable time. Try the Black Monukka dessert wine. Meeting at J. Lohr Vineyards, which we hadn’t visited since our wonderful 2011 trip, we met in the same large room as before but this time it was set up for a component tasting. (For anyone wanting to do a component class get the Torani syrups, they are the most true. See photos here.) Along with the syrups for identifying fruit aromas, we sniffed dried and fresh flowers (rose, sage, jasmine and hibiscus), spices and other components (clove, cocoa, coffee, tarragon and fennel) trying to identify each so that later we could identify them in our wines. Ian Adamo, the sommelier at Paso Robles’s Bistro Laurent (we had met Ian before when he paired an outstanding Adelaida dinner for us at the 2014 Cab Collective event) is currently working on his dissertation for his MS. Adamo, along with J. Lohr red winemaker Steve Peck, led us through each wine to evaluate the fruit, spice, floral, herbs, volume, astringency and then we were to try to guess the varietal of each of the five 2014 single varietal wines in front of us. A bit tough with the caliber of fellow writers and somms in the room, we agreed on some descriptors and what wine that indicated. Ian listed colors, fruits and tannins that were certain indicators of standard varietals no matter where grown. “It’s the structure that tells you the story” Ian said, in describing a Cabernet Sauvignon. And the purple color and bright fluorescent rim in the glass is indicative of all Malbecs. Any bell pepper notes, which most people think is a flaw, ends up in their lowest priced bottles Peck said, and is how most domestic wineries handle that component when found. I checked off whenever at least my descriptors matched Ian’s as I certainly wasn’t going to guess all of the varietals correctly! At the end of the class I got one wine right across the board, the others only shared descriptors. I definitely want to try this at home with a group. Peck then gave us some great news: when we got to lunch a little later “some of the wines the somms tasted” in front of us the other day that we weren’t given…had “fallen off the truck” and we were going to taste them! But first we were to blend a “Cuvee Pom” (in a nod to the Pomeral region of Bordeaux) blend of 82% Merlot and 18% Malbec with 2% (equal to 1/2 barrel) to 4% (equal to 1 barrel) of Cabernet Franc. The first, with 2%, softened the bite of the Pom alone, more fruit and less tannin. The second, with the 4%, now seemed spicier, rougher, and I actually like that better. It was an interesting exercise as again, it’s very objective so we all had our favorites of the blends we had created. Peck said that he wanted to create a luxury brand, and is not after scores. He has yet to decide what he will do with the blends we were playing with. In the meantime, the evil scientists at my table grabbed more glasses and decided, ON THEIR OWN, to move to 6% of Cabernet Franc in their blend. During “the next chapter” of our seminar Peck gave us a slide show that included a “style map” with color/body/mouthfeel/tannin/color broken town into styles based on their strength. He mentioned that it was akin to how someone may like their coffee: thin and astringent, dark but with creamer, etc. Pinot Noir would fall on the light end of the map while Cabernet Sauvignon would be on the dark end, and blends in the middle. After that we adjourned to a wonderful lunch and all of the wonderful wines that fell off the truck and the latest three J. Lohr Cuvee blends – enjoyed it all! The Swiss owner of Vina Robles, Hans Nef, that greeted our merry group of seminar attendees told us that he has a farming background and came to Paso Robles in the mid 1990s. Nef’s goal, after turning the class over to winemaker Kevin Willenborg, was to give us some background on Vina Robles and present 11 districts of Paso AVA with the six wines we were too taste. With six slides we learned that the family came to Paso in 1996 and had their first crush in 1999. Introducing Vina Robles wine in 2003, the Cuvee Collection in 2005, RED4 wines launched in 2006, in 2007 the Hospitality Center opened, Willenborg joined in 2012 and the new Vina Robles Amphitheatre opened in 2013. Nef said that the winery is mid-sized, family-owned and produced 40k cases per year, all from estate grown grapes. Willenborg then took over the lecture. He told us that they have 5 different districts within the Paso Robles 11 AVAs that are used in Vina Robles wine. He pulled some wines, still in barrel, from different districts that we would later sample to see if we could discern any differences between the different AVA districts (map). The Santa Lucia mountain range allows the area to be warm in the growing season. There are other ranges, on the south and east that “kind of frame Paso Robles.” Like being in “a bowl” surrounded by mountains. There are 614,000 acres in the 11 Paso AVAs with 32,500 planted. There are over 45 soil series, including alkaline, calcareous and siliceous. The word “Sauvignon means wild” Willenborg said…and Cabernet Sauvignon grows wild and strong after planting. Here, not like Bordeaux, their window for growth is longer. There are 23 varieties grown, on 1,300 acres, at Vina Robles and they only source 15%, so the balance is sold to other wineries. The main districts that Vina Robles grows in are Jardine (Estrella District), Huerhuero (split between two districts: Geneseo and El Pomar), Creston Valley (Creston District) and Adelaida Springs Ranch (Adelaida). Then we tasted wines from each district to discern different flavors. This was tough for me, like barrel sampling, these wines were single varietals that had yet to age or be blended. Lots of tannins, volume, weight, astringency, and big mouthfeel was indicative in all – as these attributes comes straight from the grapes. Some seemed less tannic or fruitier than others, but all in all I longed to have each in their final blended process which I was more than happy to trust Willenborg with! San Luis Obispo, Calif. USA— Hospice du Rhône®, an international wine organization based in San Luis Obispo, California, will host their bi-annual Paso Robles conference April 26 -28, 2018 at the Paso Robles Event Center. Uniting the world-wide Rhône wine community, the three-day wine event will gather attendees for a weekend complete with in-depth educational seminars, tastings exploring global Rhône wines, carefully curated meals and so much more. 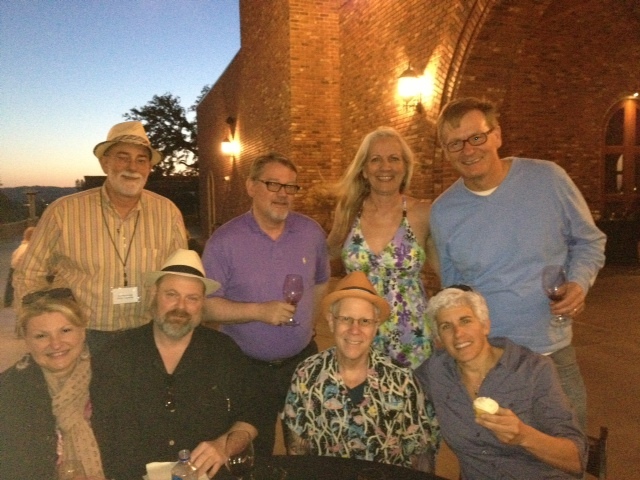 Through the years, Hospice du Rhône has played host to a diverse set of international Rhône personalities, tasted attendees on Rhône wines found only at the Paso Robles conference and has been the launching platform for many Rhône focused wineries. The 2018 event will continue this tradition by uniting an international group of winemakers, importers, enthusiasts, sommeliers and media who all share a passion for the twenty-two Rhône varieties. The 2018 Seminar Series will once again gather Rhône winemakers and winegrowers alike to take the stage to discuss all things Rhône wine. Starting off the series will be a lively look, and taste, into the South African Cinsault renaissance. Presenting a collection of wines that will deliciously illustrate this Cinsault phenomenon will be Ryan Mostert of Silwervis, Andrea Mullineux of Mullineux & Leeu Family Wines, Tremayne Smith of The Blacksmith and Danie Steytler of Kaapzicht Wine Estate. Moderated by Lauren Buzzeo of Wine Enthusiast Magazine. Digging deep into the historic soils of the Hoffmann Vineyard, planted in the 1880s, within the Barossa Valley in Australia will be four dynamic winemakers and one sixth generation farmer. Examining cultural history and how winemakers interpret fruit from the same vines will be Adrian Hoffmann of Hoffman Vineyard, Paul Heinecke of Soul Growers, Russell Johnstone of RBJ Vintners, Chris Ringland of North Barossa Vintners Collaboration and Michael Twelftree of Two Hands Winery & Twelftree, along with moderator Chuck Hayward of Vinroads. Adding to the docket will be an in-depth look into the fascinating history of California Rhône vineyards dating back to the 1880s. Sharing Rhône wines from a variety of historic California vineyards, insight and stories of the past will be presenters Morgan Twain-Peterson, MW of Bedrock Wine Company and Tegan Passalacqua of Sandlands and Turley Wine Cellars. Moderating this look at the past will be John Alban, Founder of Hospice du Rhône and Alban Vineyards. Making the trip from the Rhône Valley to close out the 2018 Paso Robles Seminar Series will be the ever-gracious and talented Philippe Guigal of E. Guigal. Guests will experience the magic of Philippe, his wines and his family’s history as they taste through wines from one of the greatest wine estates in the world. The journey continues with over 130 global Rhône wine producers sharing their wines at both the Opening and the Closing tastings. The Opening Tasting will focus on Rhône wines from the 2012 vintage and older where the Closing Tasting will feature Rhône variety wines from the 2012 vintage and newer. This tasting format allows guests a two-day opportunity to taste how gracefully the producers’ wines age and what to expect in the future. A list of all attending Rhône wine producers and importers may be found on the organizations website. This Rhônely installment would not be complete without exquisite culinary comrades taking to the stove. Guests will delight in cuisine from Chef John Toulze of the girl & the fig of Sonoma at an invite-only welcome reception, the refreshing fare of Chef Nick Nolan of Society Cuisine of Paso Robles for the Rosé Lunch, and the talented Chef Spencer Johnston of Danior Kitchen Catering from San Luis Obispo at the Saturday Farewell Dinner. This bi-annual conference could not be made possible without the generosity of sponsors. Supporting the 2018 Paso Robles gathering is Cadus Tonnellerie France, Clever Concepts, Farm Credit West, FedEx, Fiji Water, J&L Wines, Pack n’ Ship Direct, Paso Robles Wine Country Alliance, Poor Richard’s Press, Riedel, The SOMM Journal, Scott Laboratories, Sunridge Nurseries, Taylor Rental Party Plus, the girl & the fig, The Tasting Panel, Travel Paso Robles, Umpqua Bank, Wine & Spirits Magazine and Wine Country this Month. Attendees should gear up for a weekend of serious Rhône wine fun brimming with all things Rhône. From weekend passes to individual tickets, guests can purchase the option that best fits their schedule. Passes for the Paso Robles conference April 26 – 28, 2018 at the Paso Robles Event Center begin at $100 and are now on sale. To purchase passes and to learn more visit www.hospicedurhone.org. Hospice du Rhône® (HdR), located in San Luis Obispo, California, operates as a non-profit business league with the specific purpose of improving the business conditions of grape growers and wine producers of Rhône variety wines and grapes throughout the world. An international vintners’ association, they provide promotional and educational opportunities to the wine industry, trade and Rhône enthusiasts. Hospice du Rhône is not affiliated with any other charitable organizations and is a non-profit 501 (c) (6) Business League. I am a loyal Wine Spectator (WS) magazine reader, have been for over 20 years. With that said, I’ve leafed through Wine Enthusiast (WE) magazine many times. I had an opportunity to meet and interview West Coast Editor Steve Heimoff and often find myself in agreement with him on his tasting notes. As I thought our palates were sometimes in sync, when I got the press release below presenting the magazine’s 2013 Top 100 Wines, Top 50 Spirits and Top 25 Beers…I thought I better do more than leaf through the issue. Starting with the article, “The Top 10 Wines Stories of 2013”, penned by editor Adam Strum, I learned that both men and women enjoyed more white wine this year, more wine producers are using social media, wine growing regions like Monterey, San Luis Obispo, Paso Robles and Santa Barbara are gaining more attention, as well as wineries producing organic wines. Then I noticed some other key pages: WE Instagram favorites, suggestions for moving the palate from, say, a Rioja’s Tempranillo fruit to try a Mexican Nebbiolo, where to find great wine lists in the Caribbean, where to eat in Denmark and Bordeaux, several winter cocktail recipes and single malt scotch recommendations. Lengthier articles included an explanation of the different methods in making a sparkling wine, followed by a few suggestions that were not the standard fare, and ranged in price from $14 to $150; a feature on Portuguese winemakers; cooking classes available in Napa; recipes paired with white wines and their monthly Buying Guide. Broken down by individual spirit, using photos as well, this time the number one winner was the Evan Williams Single Barrel Vintage 2002 Edition, USA, Heaven Hill Distillery, Bardstown, KY, at $26 retail and receiving 97 points. Officially hitting newsstands this week, and sure to surpass expectations, the Wine Enthusiast Magazine Annual BEST OF YEAR Issue is finally here! Passionately committed to presenting the nation with its choice picks for the top wines, beers and spirits tasted this year, the Wine Enthusiast Global Tasting Panel and team of Editorial Experts have come up with a one of the most interesting and stellar lists to date, with the best-of-the best for every palate, style and price point imaginable. This year’s list includes unique, first-rate picks that boast exceptional quality, drinkability, innovation and availability – aiming to represent the outstanding diversity in each category of wine, beer and spirits available in the market today. Conducting over 20,000 tasting’s over the course of the year and across all categories, the tasting panel and experts whittled the list down to include only the most interesting picks for this issue. Featuring the Top 100 Wines, Top 50 Spirits and Top 25 Beers that were tasted and reviewed throughout 2013, this list is the ultimate guide and resource for exceptional imbibing year-round. As one of the most respected and quoted authorities in the world of wine, beer and spirits, it’s no wonder that Wine Enthusiast Magazine’s Best of Year Issue is the definitive leader and guide for the top alcoholic beverage picks year after year. Consistently featuring only the hottest trends in everything related to wine lifestyle, Wine Enthusiast’s seasoned editors do the work for their readers. The ultimate list for an amazing year, Wine Enthusiast Magazine has the best of the best for 2013. 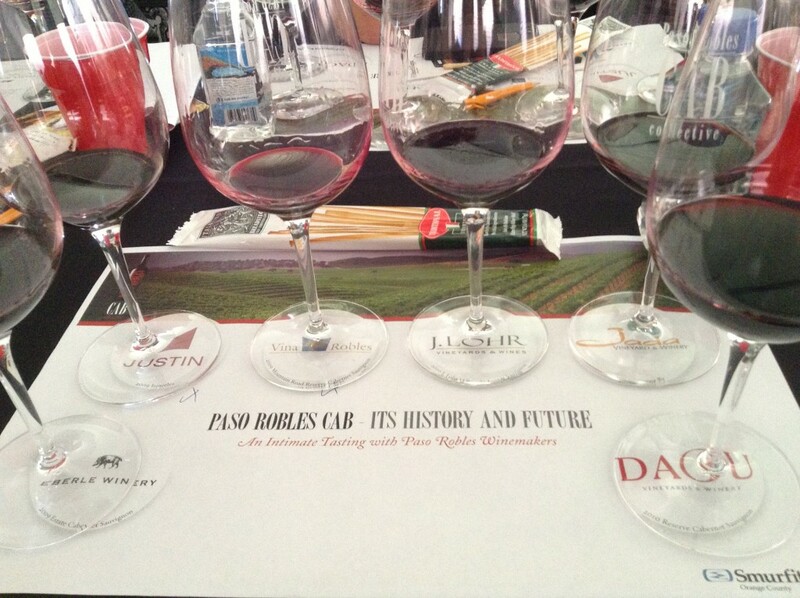 Paso Robles, Calif. – The Paso Robles CAB Collective celebrates the family roots that run through member wineries. In many cases, multiple generations work together to create exceptional, age-worthy Bordealais wines that are highly coveted. It is this family commitment to winemaking and grape growing, and to the continued stewardship of the appellation, that has contributed to the growing success of Cabernet Sauvignon and red Bordeaux varietals and blends from Paso Robles. One of the founding members of the CAB Collective is Daniel Daou who, along with his brother, Georges, connected to their experience playing in their grandfather’s ancient olive groves in Lebanon and eventually began their winemaking journey. After immigrating to France, the brothers became passionate about the wine country lifestyle. After starting their careers in technology, the Daous returned to their agricultural roots, planting vines on Daou Mountain in the Adelaida District of Paso Robles. Ten years after founding DAOU Vineyards & Winery, the business continues to be a family operation, with daughter Lizzy joining the winery as assistant winemaker after graduating from the Wine & Viticulture program at California Polytechnic State University, San Luis Obispo, and daughters Anna and Katherine involved in winery hospitality and trade relations. “Nothing makes me happier than working alongside my children,” says Daniel Daou, “the future of DAOU will someday be squarely in their hands. Located in Paso Robles’ Adelaida District, Parrish Family Vineyard has a grape growing tradition that dates back to 1925. 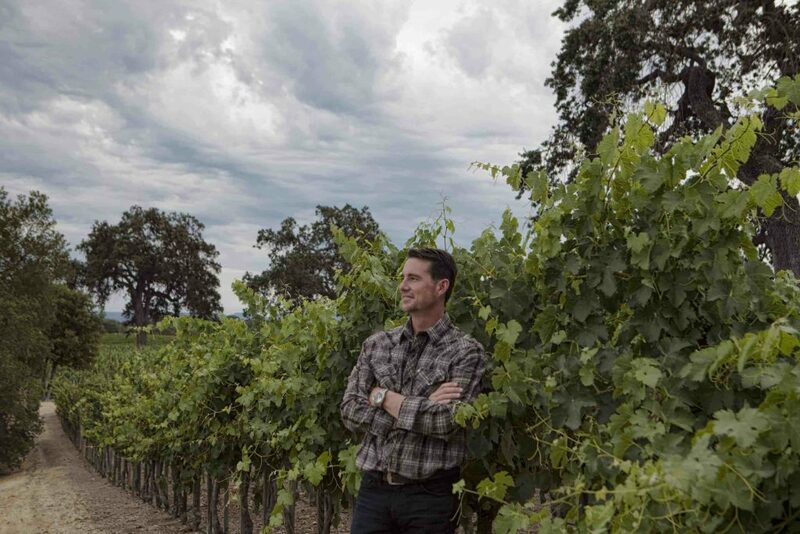 Parrish Family Vineyard is led by the esteemed winemaker and luminary in trellis technology, David Parrish. Today, his wife, daughter and son-in-law are all involved in the winery making it a truly family-run business. “My learning really started at a young age with my dad. He taught me about responsibility and working hard – cleaning the horse stalls, pulling weeds and eventually working summers in the vineyard,” shares Cecily Parrish Ray of growing up in the wine world. She credits this work to understanding the commitment, determination and passion required of owning and operating a business, recognizing that it takes hard work as well as a positive outlook to find success in the wine world. For the Ribolis, the family legacy of winemaking began 100 years ago when San Antonio Winery was founded. To this day, rich history and the importance of family is the strong foundation the business is built on. “Family has always been the most important thing to us,” shares Anthony Riboli, fourth generation winemaker. “We grew up watching our parents and grandparents work hard to build the business, while always putting family first. This value has been instilled in me, and I strive to pass it on through my family.” Riboli Family Wine Estates continues a proud heritage of winemaking that spans four generations. The commitment to producing award-winning wines includes investing in some of California’s most prestigious regions, including the El Pomar District and Creston AVAs of Paso Robles. Formed in 2012, the Paso Robles CAB Collective is an independent, collaborative effort of leading Paso Robles growers and producers of Cabernet and red Bordeaux varietals specific to the Paso Robles AVA in California. It promotes to trade, media and consumers the full potential of the Paso Robles region in producing superior quality, classic and age-worthy Cabernet and red Bordeaux varietals that compete on a global stage. For more information, please visit www.pasoroblescab.com. The first weekend of March seems to be the traditional kick off to the wine country spring reemergence. After all of this rain and wild weather, don’t we need a little Pinot Noir and a taste of future vintages to give us hope that spring and summer are on their way? 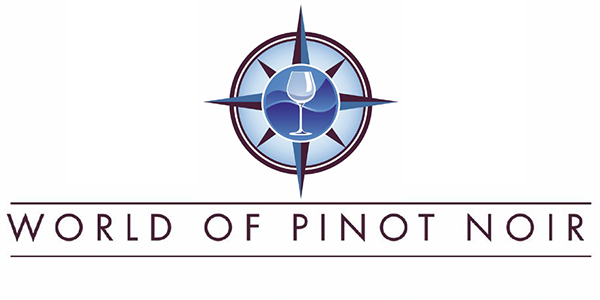 World of Pinot Noir returns to the elegant seaside Bacara Resort and Spa in Goleta in a two day festivity of Pinot Noir tastings, lunches, seminars and dinners. There is also a silent auction that benefits local charities and the winemaking program at Cal Poly in San Luis Obispo. Hands down this is the best event and most spectacular venue at which to try an amazing range of Pinot Noirs and other wines like Rosé of Pinot Noirs (rosés are the super trend of 2016-2017) and Pinot Gris. Not only do winemakers flock here from across California and Oregon but Pinot Noir producers around the country make the WOPN pilgrimage. And Pinot Noir tasting opportunities do not stop at our borders. Meet and try Pinot Noir producers from Burgundy and other parts of France, Germany, Austria, Australia, New Zealand and all regions that produce Pinot around the world. Tickets to the Focus Grand Tasting on Friday, March 3rd and the Grand Tasting on Saturday, March 4th are still available. The lunches and dinners featured throughout the weekend are not only spectacular (Kosta Browne, Hirsch, Anderson Valley, Edna Valley, Burgundy and more) but they are exceptionally well-priced for the quality of the wines and food, much of it prepared by Bacara’s Angel Oak Restaurant and guest chefs like Dustin Valette of Valette’s in Healdsburg. Go quickly to www.worldofpinotnoir.com and join the celebration. WOPN is a well-oiled event and participants spend the day at one of the most stunning resorts in California enjoying an array of Pinot Noirs found nowhere else. The same weekend farther north on The Wine Road that encompasses the wine valleys of Dry Creek, Alexander and Russian River centering around the towns of Healdsburg and Sebastopol the 40th Annual Barrel Tasting Weekend kicks off the first of two weekends in March celebrating recent vintages available to taste only by barrel samples. March 3-5 and March 10-12, 2017, are the weekend dates this year. Even with the expansion to two weekends it remains hard to do this region justice. The wide variety of wineries and the high caliber of wines make Barrel Tasting Weekend in these three wine valleys the best way to judge what many call a spectacular 2016 vintage and be able to buy futures at a discount before they are bottles. In addition, older vintages that are still in barrel will be available to taste as well as current releases. Given the demand for the wines in these areas, buying futures guarantees you can obtain wines that many times sell out upon release. Be an insider and be educated on what is coming down the pike among the excellent wineries of Dry Creek Valley (known for Zinfandel), Alexander Valley (known for Cabernet Sauvignon) and Russian River Valley (known for Pinot Noir and Chardonnay) and purchase futures to come back and pick up later. While there, don’t forget to pick up wines to drink now. 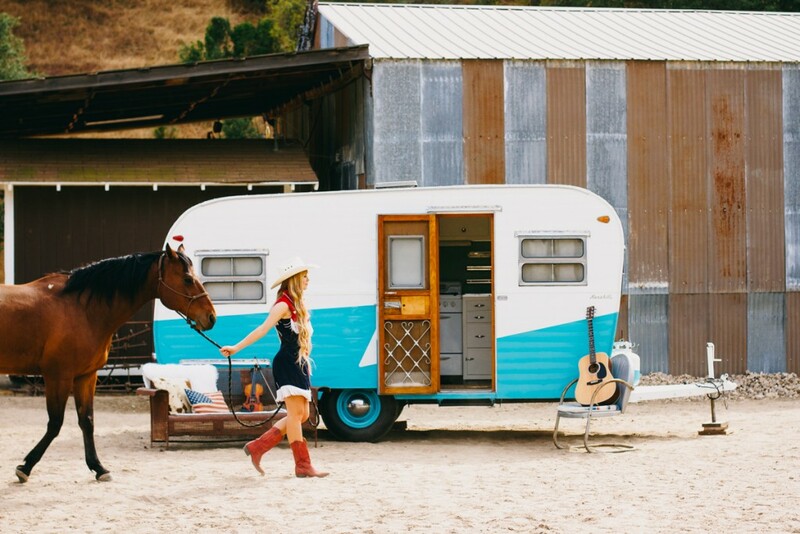 Paso Robles, Calif. – Alta Colina Winery, in partnership with the Tinker Tin Trailer Company, now offers luxe camping at its new Trailer Pond located at the estate vineyard. Alta Colina is the first winery in Paso Robles Wine Country to offer luxury camping, adding to its unique line-up of wine experiences. Guests wishing to stay at Alta Colina will book their camping dates at Tinker Tin and check in at the Alta Colina tasting room, located in west Paso Robles along Adelaida Road. Upon check in, guests will enjoy a complimentary tasting of the Rhône inspired estate wines with the option to book additional tours and other experiences – Summit Tour, VIP tasting and more – to complete the luxe camping experience on the estate vineyard. The private campground opens in November and commemorates Alta Colina’s 10th vintage. Tinker Tin trailers will be available throughout the year as weather permits. For rates and to reserve trailers please book at Tinker Tin. Alta Colina and Tinker Tin are small family businesses based in San Luis Obispo County. The two entrepreneurial ventures are working together to grow their businesses and offer visitors a unique way to enjoy Paso Robles Wine Country. Alta Colina produces world-class Rhône varieties from its vibrant estate vineyard in the Adelaida District of west Paso Robles. With a dedication to organic farming practices, Alta Colina crafts critically acclaimed wines that reflect and honor the land. For more information, please visit www.altacolinawine.com or visit the tasting room at 2825 Adelaida Road in Paso Robles. San Luis Obispo, Calif. – The Granada Hotel & Bistro and The Station are proud to announce the popular Art Bar SLO has moved from its Granada space to its new, permanent home at The Station, the Central Coast’s preeminent wine bar and wine shop located at 311 Higuera St. in downtown San Luis Obispo. The Station will continue as a wine bar and shop, curating San Luis Obispo’s best wine selection and hosting wine-centric and art-and-craft inspired events Tuesday through Saturday. 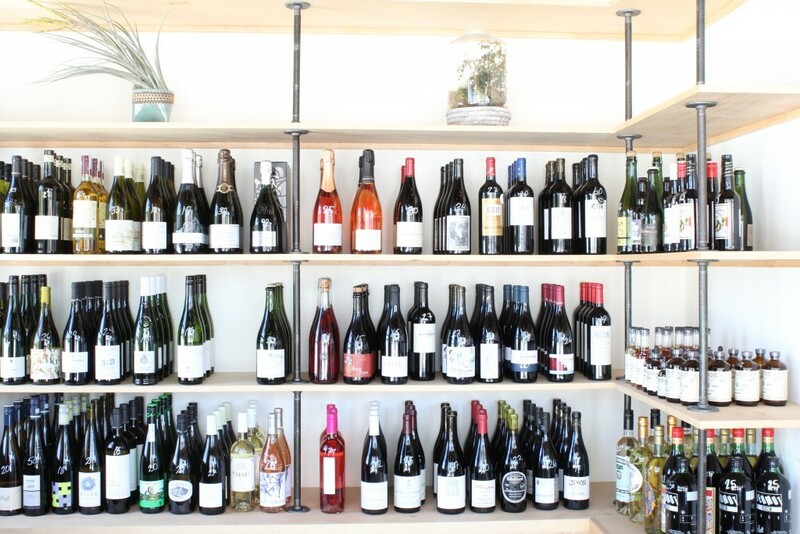 The Station’s ample, airy space with easy parking – and well-curated wine collection – is the perfect atmosphere for the growing and popular Art Bar SLO, says Kimberly Walker, the founder of Granada Hotel & Bistro, The Station and Art Bar SLO. Art Bar SLO’s mission is to bring people together in a fun, lively and casual atmosphere to express themselves through art. Whether you are an aspiring artist or just looking to explore your creative side, Art Bar SLO will help you create your own individual painting or craft piece. Held four to five times a week at The Station, Art Bar SLO provides its guests with all the art supplies, guidance and technical instruction from one of its resident professional artists, along with a glass of seasonal wine selected by The Station’s Certified Sommelier, Jenna Congdon – all for just $40. Additional wine (or beer, cider or non-alcoholic drinks) can be selected from The Station’s vast, approachable and eclectic list. The Station is San Luis Obispo’s oldest gas station re-imagined and redesigned in 2015 into a mixed-use space for work, events and a curated wine and goods shop. For more information about Art Bar and The Station – including a calendar of upcoming sessions – as well as gift certificates for both The Station and Art Bar SLO, please visit thestationslo.com, email hello@thestationslo.com, or call 805.706.0711. San Luis Obispo, Calif. – With an innovative seasonal menu that reflects the abundance of fresh, organic foods on the Central Coast, Thomas Hill Organic Kitchen works with local purveyors and farmers to source only the freshest organic and local produce, grass-fed and natural meats, as well as local fish. Breads are always crafted by local bakers who are celebrated artisans of their trade, wine lists are curated to showcase the diversity of the area’s wine region, and special care is taken to ensure the menu delivers bold flavors and innovative, seasonal offerings. In addition to a menu that changes weekly depending on the season and availability of ingredients, Thomas Hill Organic Kitchen in San Luis Obispo features a full bar serving innovative cocktails and Central Coast wines to complement the locally-focused, seasonal menu. The much celebrated Thomas Hill Organic Kitchen in Paso Robles–established in 2009–was one of the first restaurants in the area to craft a menu dedicated to organic, locally-sourced ingredients. Following the success of her Paso Robles location, owner and visionary Debbie Thomas decided to open a second location in San Luis Obispo to accommodate the demand for her authentic, regional cuisine while furthering her passion for sharing fresh, locally sourced ingredients with the Central Coast. “I am looking forward to being a part of San Luis Obispo with its thriving and vibrant downtown,” says Thomas. Having spent over four years discussing the possibility of a Thomas Hill Organic Kitchen expansion into San Luis Obispo, Thomas is confident now is the perfect time to carry out this growth. 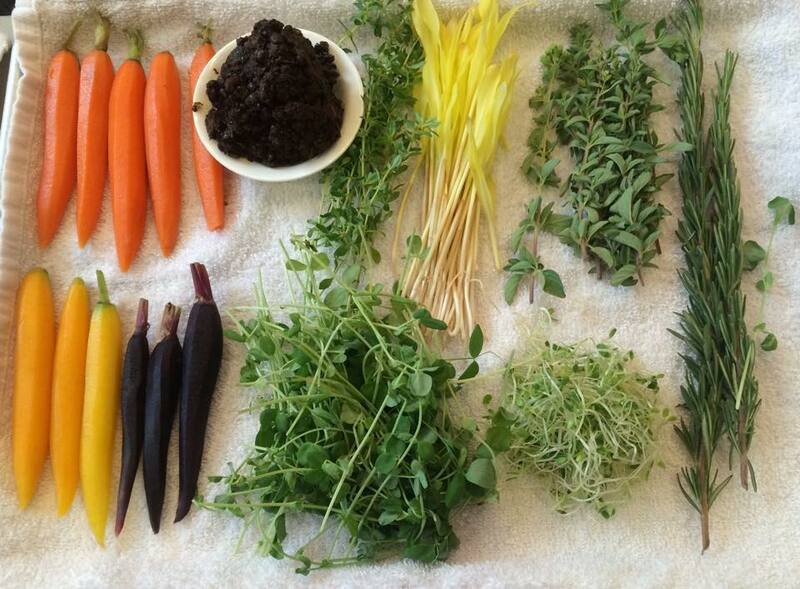 “People on the Central Coast have adopted the movement of farm-to-table and buying local,” says Thomas. And, with the development of the new mixed-use space in downtown San Luis Obispo’s Chinatown, the timing seemed right. Thomas Hill Organic Kitchen in San Luis Obispo is located on Monterey Street above the newly-opened Williams Sonoma, near Mission San Luis Obispo de Tolosa.